Last week, she traveled to Washington D.C. to help string lights and organize ornaments at the White House with dozens of volunteers from all over the country. "I actually got so teary-eyed when I walked in not only because of where I was but because of the history of the building," Davidenko recalled. 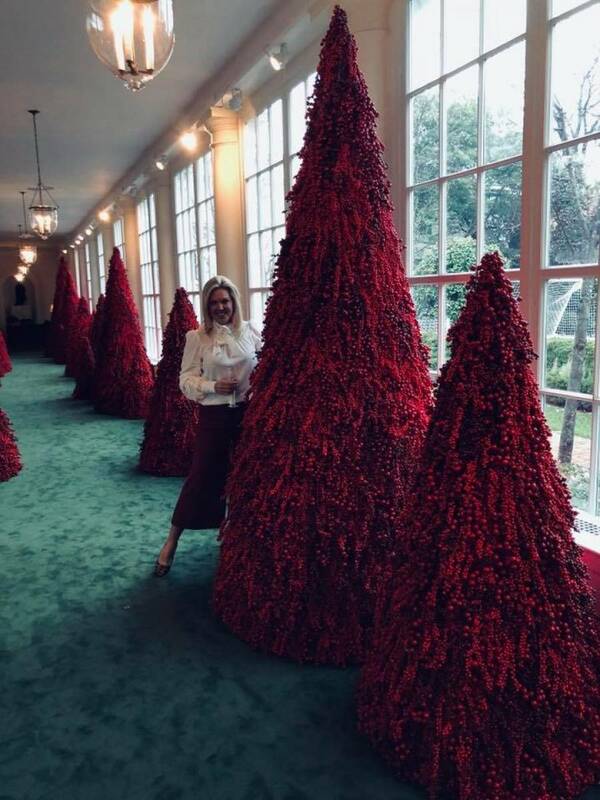 She said they were divided into groups with holiday-themed names, like "Team Sprinkle" and "Team Twinkle" and worked as teams to tackle the 55 trees that line the hallways of the White House. "It doesn't matter your political affiliation. It doesn't matter male or female. It doesn't matter your religion, it's the house for the people," she said. While some have criticized this year's decor, especially the red Christmas trees, Davidenko said she is proud of how it all turned out. "In person, they are absolutely gorgeous and I know the volunteers put so much into that," she explained. "I will treasure it for the rest of my life," she said.